Are you looking for comfortable and affordable accommodation in Timaru? 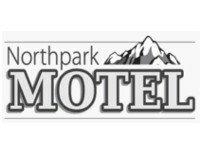 Northpark Motel is close to the airport, Phar Lap Racecourse and Levels International Raceway. We provide continental breakfast and lunch on request. You can enjoy our onsite restaurant/bar for cooked breakfast, lunch and dinner or enjoy a quiet beverage. For more information and for queries, please visit our website or give us a call today, we look forward to hearing from you! Our Motels and Lodges are conveniently located on the Northern edge of Timaru, with ample parking and great facilities. You can book online or give us a call on our freephone number.